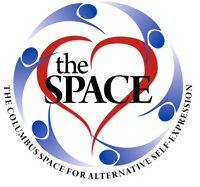 Columbus Space for Alternative Self Expression - Whip it! Whip it good! It’s something that everyone in the dungeon notices. That rhythmic swoosh back and forth or the crack like a gunshot. Watching it, being a part of it, or at the end of it… is a mixture of fear and fascination. And throwing it - to impart a gentle brush or a strike of lightning. Singletails have a mystique all their own. But is it so difficult to learn? Join whip aficionados Barak & Marker for a 2 part class as we share some tips and techniques to using a Singletail Whip in the scene. Whatever your skill level, there will be something for you! And before you leave we will introduce several ways to make a whip sound off! Like a forehand flick and the famous circus crack! If you have a whip, bring it along, hit the Hardware Store Whipmaking Workshop right before… Or just come out and enjoy the ride!